At 15 years old, Tonga’s Nipa Talasinga is the youngest player to take the field in the OFC U-19 Women’s Championship 2017, but the midfielder isn’t letting her age get in her way. “I don’t notice how young I am when I’m on the field. When I’m on the field I tell myself I can be like anyone I come up against. We all have two hands and two feet, I can do everything the same as them,” she said. Talasinga has played the full 90 minutes in all three of Tonga’s matches so far, and although the results haven’t fallen in her favour, Talasinga has enjoyed learning and developing with her teammates. “It’s really a fun team and it’s really cool being with my teammates. We’re happy together, we cry together, we laugh together,” she said. “I don’t think we have played our best football yet. It’s been ok but we’re still striving to reach our best. We know we’re not going to qualify but we’re still doing our best,” she added. “After every game, we go back and solve all the mistakes we’ve been making on the field. We have to learn from it for the next game. 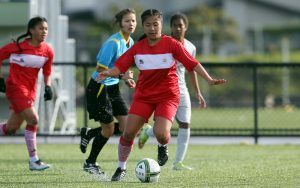 Despite her dominance and leadership on the field, the humble Veitongo FC player was overjoyed – and surprised – when she received the call-up for the U-19 team. “I was very, very excited because I didn’t think they would want me in the team because I was so young. I thought I might just have to wait for the U-16 team going to Samoa. I was so excited when my name was called on the radio,” she said. 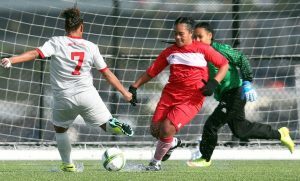 Proving her worth in the middle of the park for the U-19 team, Talasinga is feeling more confident than ever about making her return to the regional stage with Tonga next month at the OFC U-16 Women’s Championship. “I’m very confident about making the team because I made the U-17 women’s team in 2016,” she said. Still in Auckland with the U-19 women’s team, Talasinga is already looking forward to joining her fellow U-16 teammates in training camp when she makes her return to Samoa next week. “The training sessions have already started and there are so many players there trying their best,” she said. 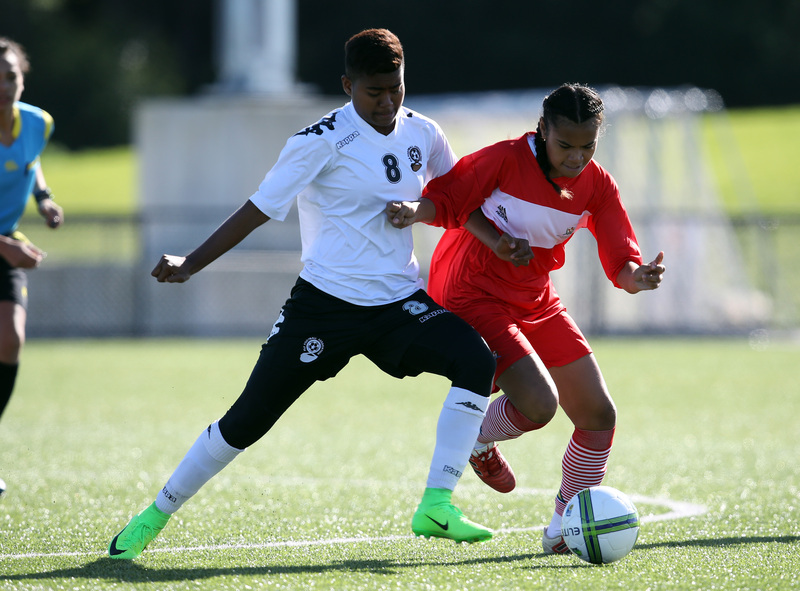 Before she can turn her focus to the U-16 competition in Samoa, however, Talasinga still has two assignments left in Auckland – New Caledonia and defending champions New Zealand. “I want to play New Caledonia now. I can’t wait to be on the field. Tomorrow will be the best game we ever play. We’re going to do our best and we will win, whatever it takes,” she said. 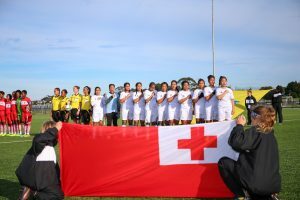 Tonga will play New Caledonia on Match Day 4 of the OFC U-19 Women’s Championship 2017 at Ngahue Reserve in Auckland on Friday 21 July at 12:30pm (NZT), before they meet New Zealand on Monday 24 July at 10am for their final match. The OFC U-16 Women’s Championship 2017 will be held in Apia, Samoa, from 4-25 July. Tonga has been drawn in Group A with New Zealand, New Caledonia, Samoa and Tahiti.